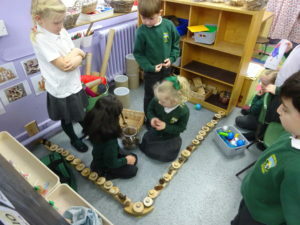 In the construction zone, the children have free access to a large variety of loose parts. 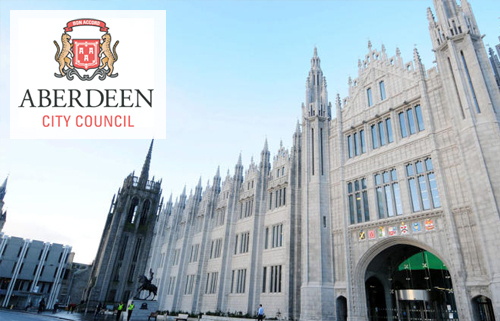 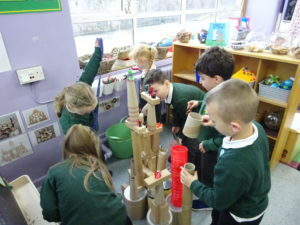 The selection includes cardboard tubes, rolls, containers, corks, cones, figures and much more. 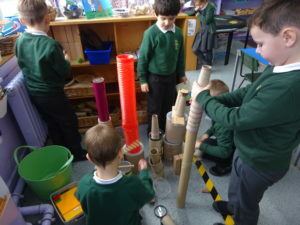 It is entirely up to the children to use their imaginations to lead their play in whatever direction their ideas take them. 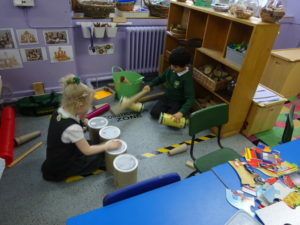 Through the play, there is always a great deal of communication and cooperative play. 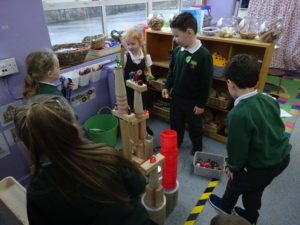 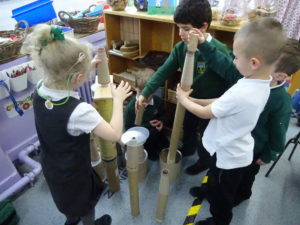 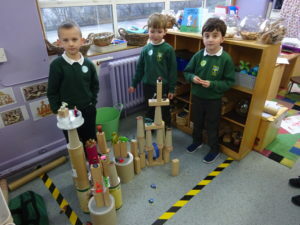 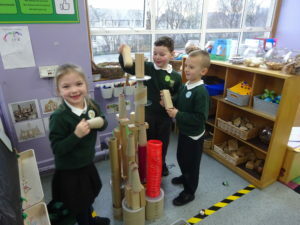 There are lots of discussions using mathematical language and the children often make use of the measuring tapes to see how tall they have made something. 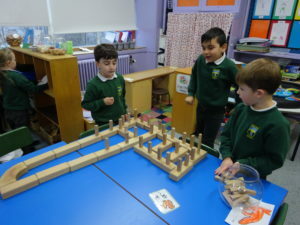 There are small clipboards with paper available for them to draw or plan their designs. 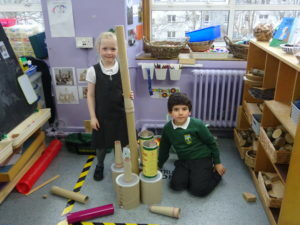 One boy told me “I’m designing this, we are engineers’. 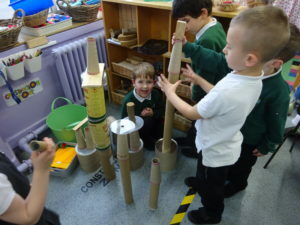 He had remembered this from our Engineer week last year. 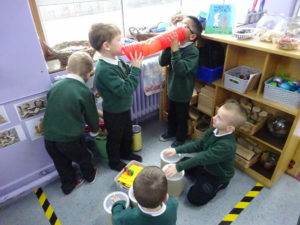 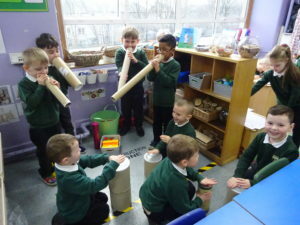 We often have impromptu bands, with lots of drumming and tooting.They always remember to ask for photo to be taken before it is tidied away, ready for the next day’s creations.